The tour announcement comes hot on the heels of star Belinda Davids’ lauded performance on Fox TV’s Showtime at the Apollo Christmas Special in December 2017, where her spine-tingling rendition of ‘I Will Always Love You’ – on the very stage where Whitney Houston filmed her famous Greatest Love of All film clip, no less - earned her not only the awe of host Steve Harvey and an enthusiastic ovation from the live audience, but over 10 million views of the performance video on Facebook in the days following. Though this is Davids’ first major US tour as the principal of The Greatest Love of All: The Whitney Houston Show, she’s no stranger to US audiences, having toured extensively as a backing vocalist for the likes of Keri Hilson, Keyshia Cole and Monica in earlier years. Audiences across Europe, the UK, Middle East, Asia, Australia, New Zealand and Davids’ home country of South Africa have already been wowed by the production, which has been touring since 2013. 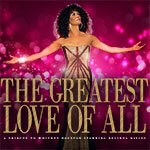 A five-piece band, backing vocalist and choreographed dancers will accompany Davids on stage as she pays tribute to Houston with live performances of I Wanna Dance With Somebody, How Will I Know, I Have Nothing, Didn’t We Almost Have it All, One Moment in Time, Queen of the Night and 15 other chart-topping hits. Showtime Australia’s international production house, lead by respected long-time father and son team Johnny and Jono Van Grinsven, in the roles of Producer and Technical Director respectively, has put together custom-designed lighting, theatrical effects, and more than 20 different hand-crafted costumes to complete the sensory spectacle and keep audiences enthralled through the course of the two-hour show.